Happy birthday, Paulie! 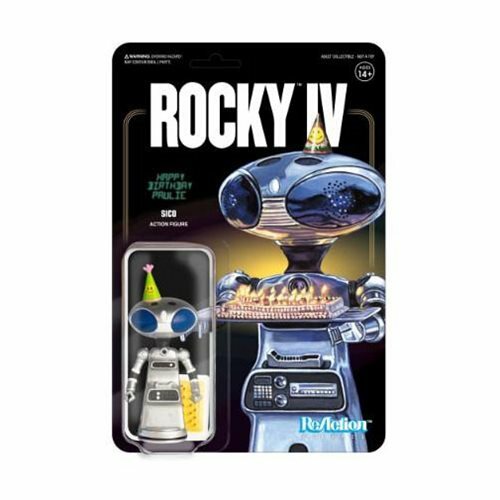 The 3 3/4-inch scale Rocky IV SCB Paulie's Robot ReAction Figure comes on a retro 6-inch by 9-inch cardback, just like you remember from the 1970s and 1980s! Figure has era-appropriate articulation and a gorgeous portrait on its packaging. You'll want to buy two so you can keep one packaged! Ages 14 and up.